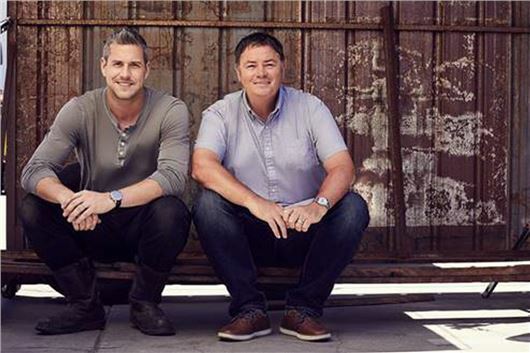 A fresh series of Wheeler Dealers starts on Discovery at 9pm on 21st May featuring eight cars the boys have never worked on before. In the new series, Mike finds a 1988 Jeep Grand Wagoneer, now hot property in the USA after its starring role in 'Breaking Bad'. This one has sagging suspension and defective four-wheel drive but, with the chance of making a profit, Ant sets to work. Mike also digs up a rare, rally-bred 1972 Lancia Fulvia with worn CV joints, a broken heater, cracked dash and a debris-clogged fuel system. He also bags a rare 1972 Datsun 510 2-door that has an enthusiastic following in the USA for its handling. The engine is okay, but the bad paint job, gearbox and bodywork let it down. While the 1969 Opel GT Mike gets his hands on looks like a C3 Corvette that shrunk in the wash. The viewing figures have plummeted since Edd China left and Brewer bad mouthed him (Edd) on you tube. I won't be watching it, its not the same since Edd left. They killed off a decent UK based 'hands on' show with cars we all recognise and could mostly afford, covering tasks that most of those who want to restore or even maintain an older car would encounter, but unfortunately its all now geared towards an American Market and Viewer, with this point being highlighted by the fact that the USA is mentioned twice in the short write up advertising the approaching new episodes!. Sky is already littered with programs about American cars, but nothing is filling the void left by the transition of Wheeler Dealers into an American Car show - (Edd where are you!, a new program opportunity beckons!). To get that, ironically to get that, we have to watch older repeats of the original Wheeler Dealers. I'm not surprised that the UK viewing figures have dropped, but then again this is no longer the biggest slice of the pie, in fact we barely qualify as a crumb of crust, so don't expect the "powers that be" to be bothered!. The UK needs the return of a decent car show, the show that Wheeler Dealers once was about a decade ago, giving advice on how to maintain older cars and do up old classics and barn finds, as well as more practical advice like DPF's for those who opt for newer cars. Most people in the UK really aren't bothered about gas guzzling American cars, which would cost a fortune to import and are rarely seen on our roads anyway - our daily increasing fuel prices are too expensive to own and run them, and our Government will probably be banning them off our roads and out of our cities soon, based on emissions anyway!. Who would want to pay to view this sub-standard offering?